Great look as always! Looove your trousers, so cool! had a Massive Gathering @ Anyer..
Eventhough i want to come, i didn't have the courage to told my mom that i want to go. T^T So i didn't come. I wish there'll be another event like this. hix..
love the pants and your spikey heels! love the pants :) pretty ! I think this is a perfect outfit, everything matches perfectly. I love how collared shirts are back in style, I love collared shirts. Im in love with all of them! <3 the pants! Your pants are amazing, love the print. 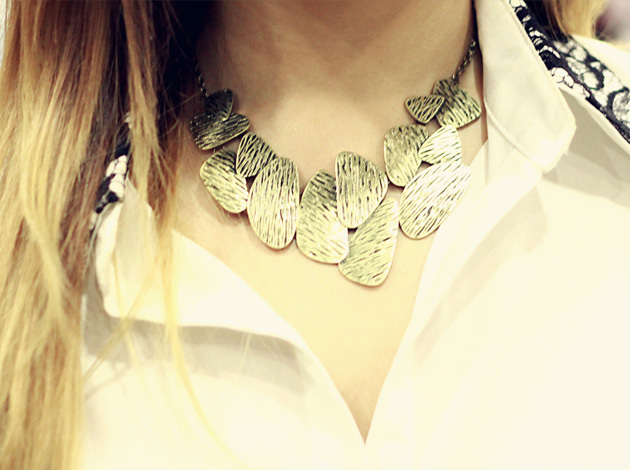 Great statement necklace too! wow you are so cute! OMG I looove the shoes!!! you look adorable. I love your hair, the trousers and the shoes. I wish I went too. You look so stylish. you look AMAZING! i love ur pants!! and ur shoes!!! I loved your bag and shoes! The Shirt Like That Is GENIUS.